We were pretty excited about being able to blog live because we used Mr. Delivery instead of dining out and posting 15 weeks later. OK, just kidding. It might not be that bad (in every case), but we do have actual paying jobs and families, too, ya know! Ordering on their super user-friendly website was a breeze! Simply type in your location and you are presented with a list of local eateries that participate in this service. The menus are easy to read and navigate, and check out is painless. Our food was delivered under the advised time, too! This is a perfect service for a larger group so you get more bang for your buck. Just remember to order wisely. As you will read below, some dishes just don’t travel well. A decent sampling of burgers, pizzas, pastas, appetizers, sandwiches, salads, and entrees…all pretty “bar and grill” typical. Fair – Even if we had ordered this in the restaurant, it still would not have impressed. The bun was dry, the meat was dry, there wasn’t enough seasoning in the patty. We should have been smarter and not ordered the fries. In general, they just don’t travel well. To top it off, I requested aioli on the side in two different areas and they failed to provide. If you’ve read any of our posts before, I/we LOVE to dip our fries in sauce! Fail! Alright – Granted I have killed my taste buds from medicating my annual sinus infection (thank you St. Louis allergies), so I can’t accurately describe the flavor. However, I could tell it was overcooked and extremely dry. 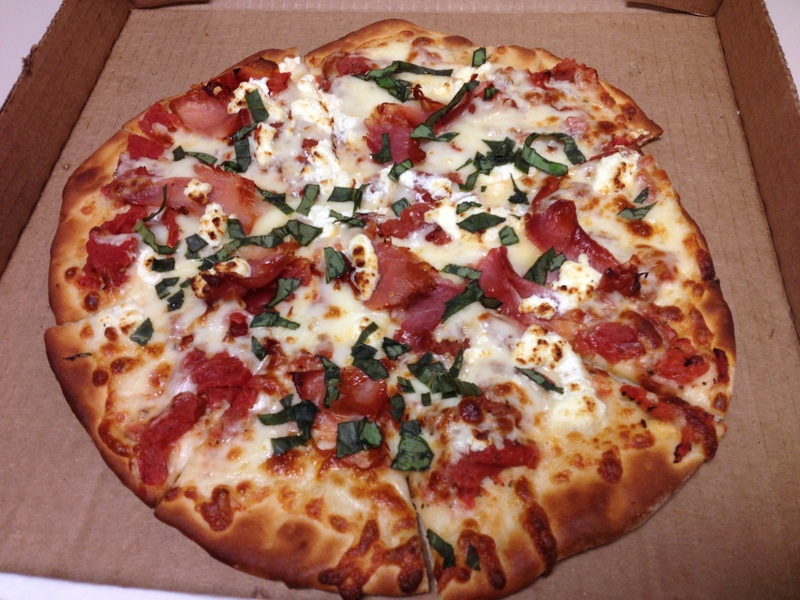 Fine – I do enjoy a nice goat cheese pizza. This was pretty tasty, the salty prosciutto hit the spot. I think this traveled pretty well. 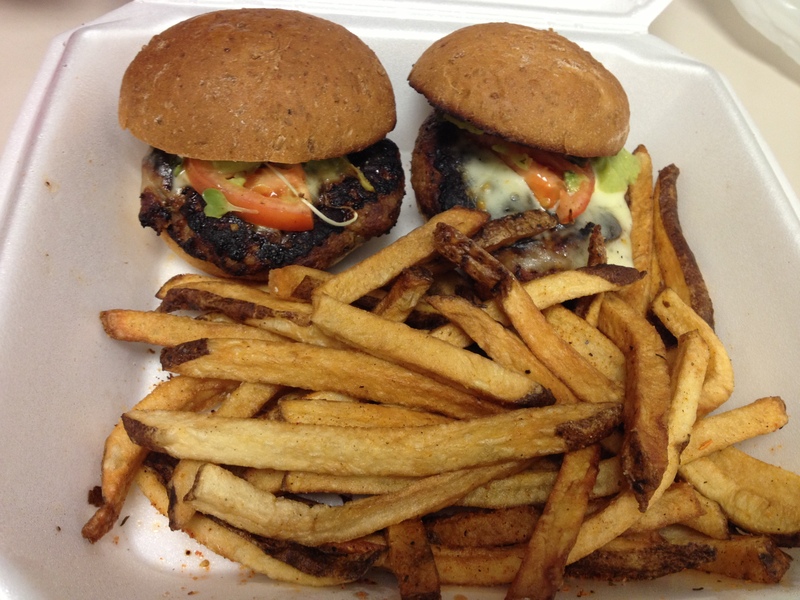 Awesome – I know for sure this would’ve been even better in the restaurant, but for delivery, it was pretty good! The two different cheeses off set the salty/dryness of the prosciutto. The crust was cooked perfectly for the thinness of the dough. It is a good size for the price, too.